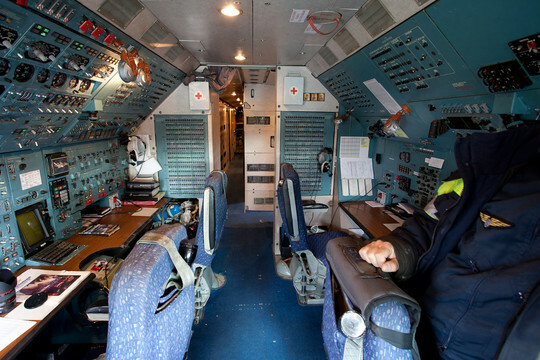 Photos: An Inside Look of an Antonov An-124 - while recently walking to the bus in Seattle, I heard an apocalyptic rumbling noise from above. Looking up, I saw a big, many-wheeled bugger flitting through gaps in the low cloud - hang on, I thought, that looks familiar. No, it wasn't the utterly massive Antonov An-225 Mriya I'd seen at Farnborough in 1990 (this new interloper had four engines, not six, along with a more conventional tail and no Buran-carrying bumps on its back) - instead it was its little brother the An-124, likely delivering aircraft parts for Boeing. The interior looks like the second cousin to an old Soviet submarine. Bonus video! 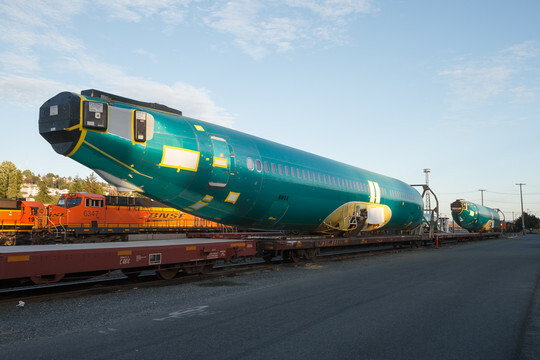 Delivery - speaking of Boeing, deliveries and Seattle, one gets to see all sorts of things while riding one's bike round here. I thought they were peculiar, oversized fuel tankers from a distance. No, they were something much more interesting. EEVblog #854 - B52 Bomber Automatic Astro Compass Teardown - enthusiastic Australian Dave Jones hammers his way into an analogue mechanical guidance computer, then somehow avoids losing his fingers in the intricate mechanisms within. Vintage Electronics - The Tefifon - pre-recorded cartridges resembling a cross between an 8-track cassette and a vinyl record, this 1950s German system looks like it escaped from an alternate future. THE DANGER IS IN A PARTICULAR LOCATION - IT INCREASES TOWARD A CENTER.